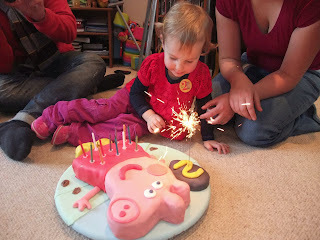 For months before the Bean's birthday she was asking for another Peppa Pig cake the same as last year. Then out of the blue she changed her mind the week before in favour of Pingu. 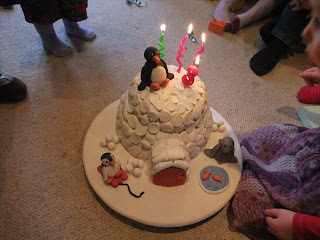 So I had to come up with a Pingu cake. I am not a fan of that icing you buy and is ready for use (Royal icing?) as it tastes gross, so I decided against a big novelty Pingu character in favour of an igloo. Of course the easiest thing would have been to bake it in a bowl to give me a nice shape, but I didn't have a bowl big enough and time was of the essence. I baked two marbled Madeira cakes, one smaller than the other, froze them, and then carved them when frozen. A nice bit of maple syrup butter icing covered the lot and then I cut up marshmallows and stuck them all over. This picture makes me chuckle a little...it reminds me of a former life of science where my fumehood looked pretty much exactly like this. Chaos. I liked to wash up once a week. 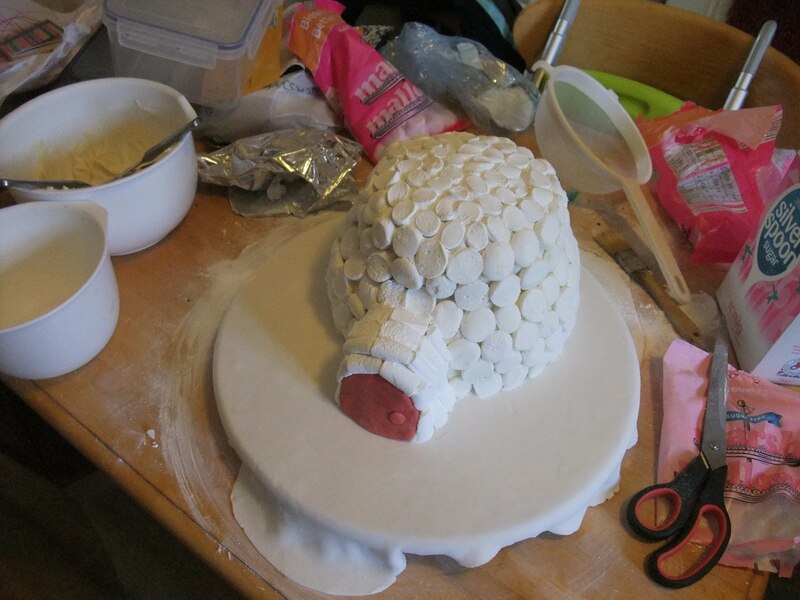 The characters are the disgusting ready icing, but they are just for decoration. Even Bean and Bug could only face eating their heads. The little snowballs are those Cadbury sweets. Yum!